The session empowered participants through presenting a roadmap toward an unprecedented vision: transforming buildings from climate problems to climate solutions. 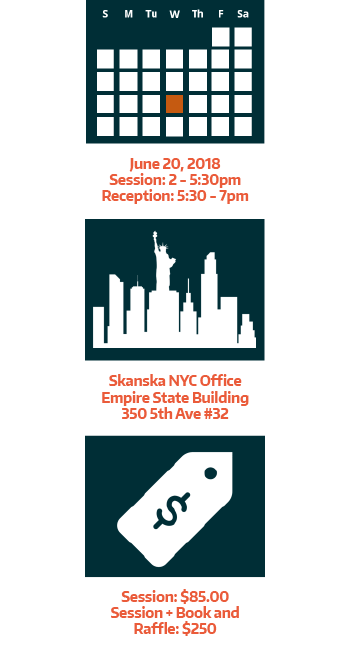 Industry leaders and embodied carbon experts joined together in this interactive session to understand cutting edge research and innovative strategies for realizing a carbon positive built environment. 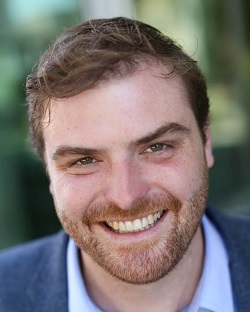 A GreenBiz 30 under 30 sustainable business leader, James Connelly is the Vice President of Product and Strategic Growth at the International Living Future Institute. As VP of Strategic Growth, he leads ILFI in developing strategy and cultivating new business and partnership opportunities to grow the Institute’s impact and capabilities globally. As VP of Products, James provides strategic leadership for the Institute’s corporate and manufacturing initiatives including the Living Product Hub (a center of innovative manufacturing in southwestern Pennsylvania), Living Product Challenge (a program that re-imagines the design and manufacturing of products to function as elegantly and efficiently as anything found in the natural world), Just (a social justice and corporate responsibility label for leading progressive organizations), Declare (an innovative ingredients transparency label and database of non-toxic sustainably sourced products) and the Handprint Label (an elegant CSR framework for companies on the pathway to achieving Net Positive impact). James leads the Institute’s strategic consulting for corporations and conducts technical consulting for high profile Living Building Challenge projects both in the US and internationally. Prior to joining the Institute in 2012, James received a Fulbright fellowship to conduct research on green building rating systems in China. 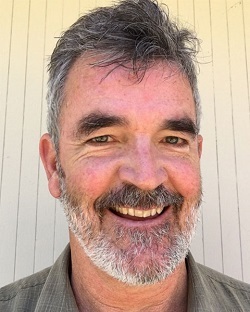 James is frequent national and international speaker on regenerative design, sustainable business, ecological manufacturing and affordable housing. He is an avid writer and his research and commentary has been featured in news outlets such as China Dialogue, Trim Tab, BuildingGreen, GreenBiz and Engineering News Record. 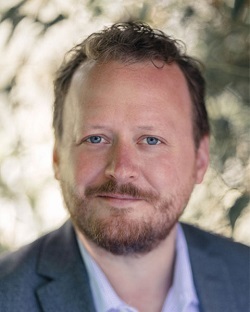 Chad Frischmann is the Vice President & Research Director at Project Drawdown, where he leads the Drawdown Coalition, Senior Research Team, and Fellowship Programs. 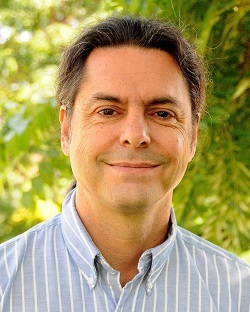 Chad is the lead researcher and principal architect of the methodology and models used in Drawdown and all related publications. With an interdisciplinary background in public policy, sustainable development, and environmental conservation, Chad brings over 17 years of experience in program management and strategic leadership to the team. He has been with the organization since its inception in 2014, working as the head of both research and operations. Previously, Chad was the Senior Program Officer at The Europaeum; taught at the University of Oxford and the University of California at Berkeley; and worked as a consultant and researcher for numerous organizations, from small grassroots non-profits to UN agencies such as UNESCO and the International Fund for Agricultural Development. He holds a master’s degree in Public Policy from the University of California at Berkeley, a master’s degree in Art History from the University of Oxford, and a bachelor’s degree in International Affairs from George Washington University. Tyler Krehlik, AIA, NCARB, LEED AP BD+C is an award-winning architect with SmithGroupJJR based in San Francisco where the focus of his 20+ years of practice has been on developing projects that are healthy and positive contributions to society. He concentrates on healthcare, research, wellness, and civic projects. As Principal of the SmithGroupJJR San Francisco MOB and Specialty Outpatient Portfolio, his teams have a special emphasis on outpatient health & wellness, ambulatory care, and cancer institutes. He is a broad practitioner with experience in project management, planning, design, and technical detailing and able to do what it takes to get a project completed successfully. Tyler is a national leader in sustainable healthcare architecture and under Tyler’s direction, many projects have achieved high-ranking LEED certifications including the first two LEED Certified Hospitals in California. He speaks and teaches widely on sustainable healthcare principles including courses at Harvard GSD. His passion is in eliminating toxins from built environments and creating buildings which are active healing agents. As a member of the National AIA Materials Knowledge Working Group and the Health Product Declaration Collaborative User Advisory Panel, he is constantly pushing the industry to be more transparent and be positively enriching to human health, the environment, climate and social equity. Erin McDade is a Program Manager for Architecture 2030. She brings to the organization a background in architecture, with a focus on sustainable building research and analysis. She holds a Master of Architecture degree from the University of Washington and worked at the Integrated Design Lab in Seattle before joining Architecture 2030. While with the Integrated Design Lab she helped to develop Targeting 100!, a tool for deep energy retrofits and aggressively sustainable new construction in the healthcare sector. During that time she also completed lighting and thermal analyses on the revolutionary Bullitt Center. She currently leads Architecture 2030’s Products Challenge, is one of the founding members and current chairs of the Embodied Carbon Network, and sits on the advisory board of the Carbon Leadership Forum. She is also leading the development and production of the AIA+2030 Online Series, an education series that helps design professionals create zero carbon buildings. Anu Natarajan is currently the Legislative Affairs Manager at Stopwaste.org. In her role, she works on public policy with elected at various levels of governments and facilitates strategic partnerships. Anu has worked as a public agency planner, planning and design consultant working with communities on visioning and goal-setting. She was Program Director of the Common Good Collaborative at American Leadership Forum Silicon Valley where she focused on community engagement and outreach by building a network of networks and using technology in innovative ways. She also served as Director of Policy and Advocacy at MidPen Housing Development, a non-profit affordable housing builder. In addition, she worked with the City of Santa Clara as a Sustainability Consultant helping integrate the City’s green efforts and working on creative partnerships. 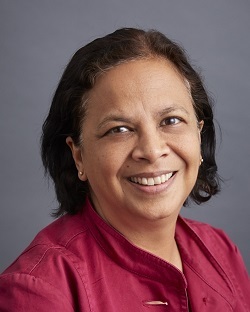 Between 2004 and 2014, Anu served as both a councilmember and vice mayor for the City of Fremont where she used her passion for community building and placemaking, and her professional background in architecture and urban planning to shift the city’s vision of a suburban community to a more strategically urban and sustainable city. Victor Olgyay, AIA is a bioclimatic architect living in Boulder, Colorado. In 1978 he designed his first passive solar house, and has since worked as an architect, writer, professor, researcher, daylighting designer, and environmental consultant. 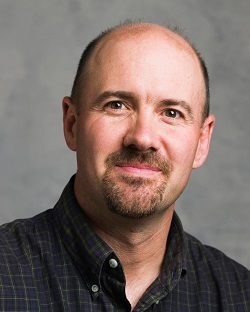 Since 2005, he has been a principal with Rocky Mountain Institute leading the Institute’s Buildings Practice to encourage widespread adoption of deeply efficient building design and comprehensive building energy retrofits. From 1993 to 2000 Victor was an Associate Professor and Director of Research at the University of Hawaii School of Architecture. 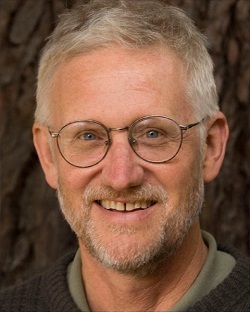 He was appointed Chairman of the AIA Honolulu Energy and Environment Committee 1995–2000, and in 1998 he was named a Dana Fellow of the Joslyn Castle Institute for Sustainable Communities. He has served on the Board of Directors for the American Solar Energy Society, and is currently on the University of Colorado Design Review Board, and the GSA Green Building Advisory Committee. Buildings must support human and ecological needs. Victor’s research on ecosystem services as criteria for green building assessment resulted in the “Green Footstep” building tool, demonstrating a lifecycle approach to the reduction of carbon, water, and ecological footprints. His recent work demonstrates how restorative buildings and communities (that generate more resources than they consume) can be profitable investments and act as positive assets, enhancing electrical and utility system infrastructures. 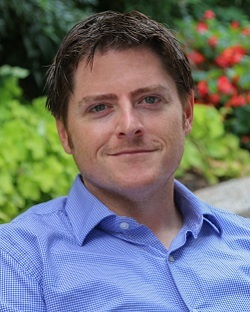 Brendan Owens, LEED Fellow, P.E. Brendan oversees strategic development and integration of rating systems at USGBC. In this role Brendan collaborates with teams developing tools that transform the way we design, build and operate the built environment. He led the effort to establish the system goals for LEED v4 and is building on this work as the foundation to integrate other programs USGBC collaborates on. Brendan is a board member of the New Buildings Institute and is deputy director of the center for cycling technology at USGBC. Additionally, Brendan volunteers as a board member of the foundation USGBC is partnering with to build the William Jefferson Clinton Children’s Center in Port au Prince, Haiti. Kate Simonen, AIA, SE is founding director of the Carbon Leadership Forum, an industry-academic collaboration highlighting the carbon impact of the built environment, and developing pathways for “carbon smart” buildings to be part of the global climate solution. 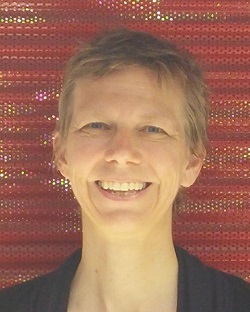 She is an Associate Professor at the University of Washington, a writer, and a researcher with significant professional experience in high performance building systems, seismic design and retrofitting, net-zero energy residential construction, prefabrication and collaborative practice. She authored the authoritative Life Cycle Assessment and the LCA Practice Guide and is co-chair of the Embodied Carbon Network – a global, open-access communications and action network. Larry Strain, FAIA, LEED AP is a founding Principal at Siegel & Strain Architects. He holds a Master of Architecture from UC Berkeley. He is the author of ReSourceful Specifications, one of the first guideline specifications for green materials and has spoken on materials and sustainability at conferences throughout the country. He is currently a member of the AIA Materials Knowledge Working group and serves on the boards of the Ecological Building Network and the Carbon Leadership Forum. He co-authored the Total Carbon Study in 2016, and is he on the research team for the Embodied Carbon Benchmarking project.